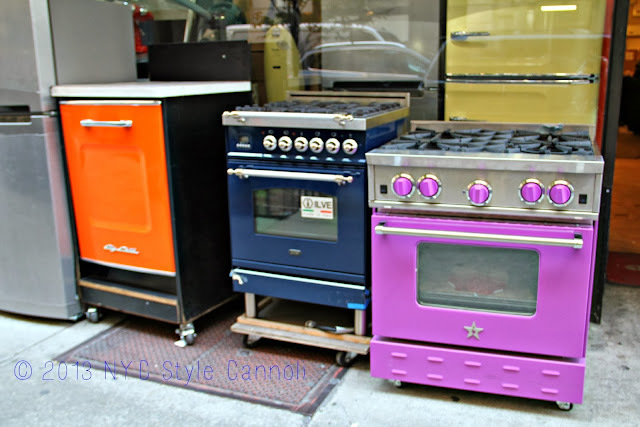 Photo Gallery Thursday " Colorful Kitchen Appliances"
While walking in the Flatiron district, I came across some great kitchen appliances on the street! How cool are these? I love the purple stove! These were found at the Krups Kitchen and Bath store, and I didn't go inside, but loved these on the sidewalk in all their glory! Would you use a purple stove? OH that Orchid Stove should be a hit this year!! yes I think it would be a hit any year! so so cool! !